I don’t know why I equate home made banana pudding with church gatherings, but I still do. I have pleasant memories of attending many a church social where somebody’s grandmother had made banana pudding from scratch. I have always been fond of home made banana pudding. This is a southern tradition I hope never dies. Although we southern cooks have instant JELLO pudding available, NOTHING beats the taste of home made pudding whipped up from real ingredients. And guess what? Real banana pudding is MUCH easier than you think. I have a secret to share – I make mine in the microwave! Microwave milk mixture for 2 minutes. Stir with wire whisk and microwave 2 more minutes. While mixture is microwaving, separate 6 egg yolks from the egg whites. 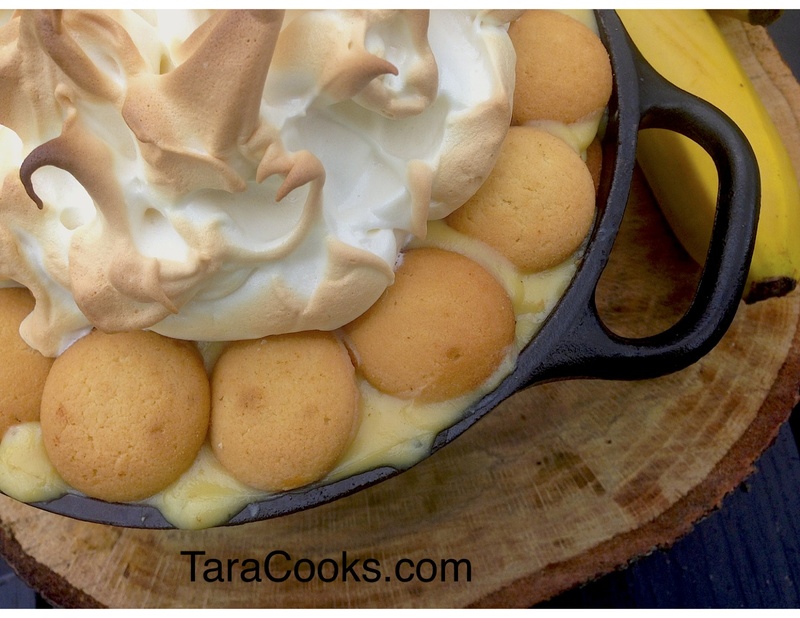 Save egg whites if you and your family prefer meringue topping on your banana pudding. Mix the eggs with a fork. By the time the milk mixture has been in the microwave for 4 minutes, it should be warm. Remove about ½ cup of the warm milk mixture and add it to the beaten eggs. Mix well, then pour egg mixture into the bowl with the warm milk mixture. Whisk to blend and then return the mixture to the microwave. I continue microwaving and stirring 1 minute at a time until mixture has thickened almost to the consistency of pudding. This mixture will thicken a little more as it cools. Add 1 TABLESPOON of vanilla extract and stir. I like to use my trifle dish, but any 2-3 quart casserole dish will do just fine for the grand assembling of the banana pudding. Our kids like to take over here and layer the pudding with a 16oz package of vanilla wafers and 4 peeled sliced bananas. Organic vanilla wafers are available now in the organic section of most grocery stores. 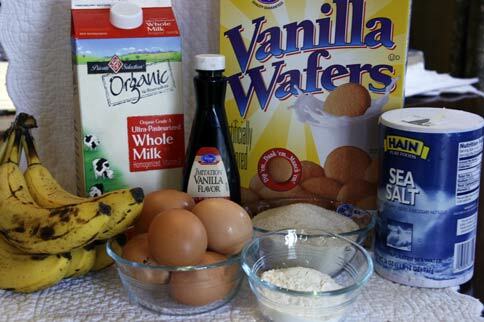 Pour about 1/3 of the pudding mixture into the dish; add about ½ the banana slices and 1/3 of the vanilla wafers. Repeat this process using 1/3 pudding, ½ bananas and 1/3 wafers. Top with the remaining 1/3 pudding and vanilla wafers. If you are a BIG fan of meringue, beat the eggs whites on high speed in a glass, grease free dish until soft peaks form. Keep beating and gradually pour ½ cup sugar. Spread over top of pudding. Bake meringue in a 350 degree oven for 8-10 minutes or until lightly browned. Here at home, we like REAL whipped cream on ours. I whip up a PINT of whipping cream until soft peaks form and gradually add ½ cup POWDERED sugar. YUM! On a final note, I have some members of this household who DESPISE bananas. If you have any anti-banana people and want to keep peace in the household, feel free to omit the bananas and add extra wafers. This is how we manage to keep everyone happy.